The search is on for the eSports Pro Athletes in the Philippines as ESPN5 announces the “Road to The Nationals”. Starting August 4, a series of eSports tournament qualifiers will be held nationwide as part of the campaign. While, The Nationals will be the first-ever franchise model league in the country, which will be launched in 2019. The tournament is divided into three games: DOTA 2 for PC, Mobile Legends for mobile, and NBA2K19 or Tekken 7 for console (to be announced in September). Only eight teams per game will be selected from the initial rounds and will have a chance to be sponsored by pioneer teams of The Nationals. In addition to having a chance to be scouted, participants also have the chance to win millions of pesos in the tournament. TNC Pro Team, HappyFeet eSports, BrenPro Inc., Cignal TV Inc., PLDT/Smart Communications, and STI Education Systems are looking for the best eSports athletes in the country through ESPN5’s Road to The Nationals. Vincent P. Reyes, President and CEO of TV5, encourage aspiring eSports athletes to take this chance to show off their talents and get into a good gaming career. 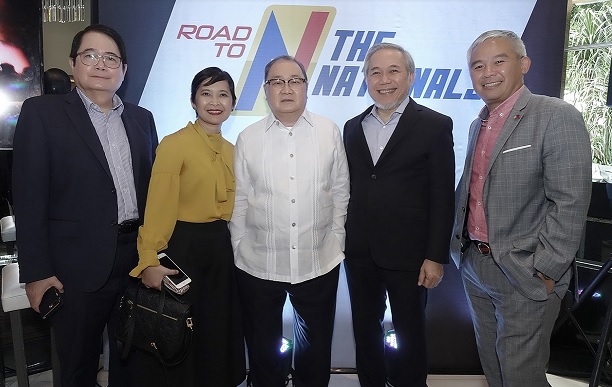 Moreover, the Road to The Nationals is a breakthrough to the eSports in the Philippines for being the first local eSports tournament to be aired on free TV. Regional tournaments and Grand Finals will be aired exclusively under the ESPN5 banner on TV5 in partnership with PLDT-Smart. The Mobile Legends Professional League Season 2 (MPL Season 2) serves as the Qualifiers for Mobile Legends. Visit Mobile Legend Online PH on Facebook for more details. Further announcements about the console game will be released by September 2018.